First, you need to know that the device we are about to talk about has a predecessor, the Moto Z Play. But as is with smartphone traditions, a new upgrade (maybe downgrade) is here. The Moto Z2 Play aims to improve performance and battery life. Lets’s see if it actually did that, I’m not sure. 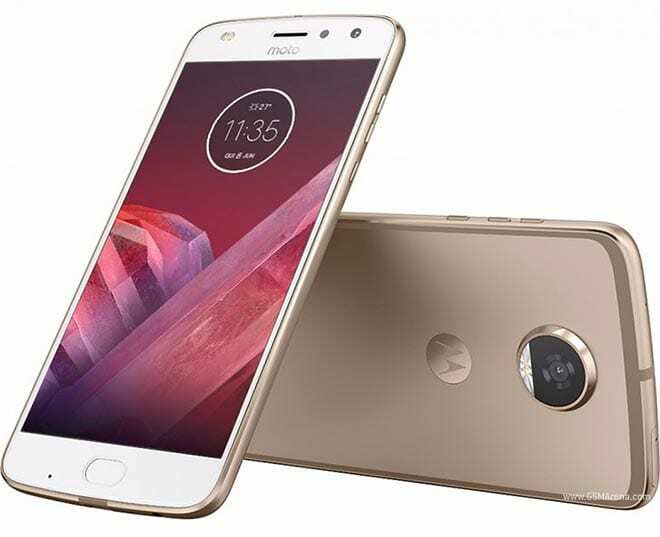 There is not much difference in design from this device and others in the Moto Z series. It comes with an Aluminum unibody design, and a Corning Gorilla Glass 4. The Corning Gorilla Glass 4 serves as extra protection. Thankfully too, there’s a nano-coating on the body of the device which makes it water repellent. The display size is pegged at 5.5-inch. Moto Z2 Play has a screen resolution of 1920×1080 pixels. Its display is Super AMOLED, with a 401 ppi density. This produces apparent on-screen images and icons. A fingerprint sensor is also present on the device. Having an Octa-core Qualcomm Snapdragon 626 processor, the processor speed is 2.2GHz. The Moto Z2 Play runs on an Android Operating system v7.1.1 Nougat. The memory of the device was sure upgraded as it came with a 4 GB RAM. This is as against the 3 GB RAM found in the Moto Z Play. For your storage needs, it avails you with 64 GB of space. This can still be expanded using a micro SD card. A 12 MP camera is spotted on the rear of the device, while its front features a 5 MP camera. The front camera comes along with a selfie flash. Personally, I love that. Well, there was a bit of a downgrade here. The Moto Z2 Play comes with a 3000 mAh battery capacity as its powerhouse. This is about 510 mAh lesser than last year’s version. Some of this bulk had to be shed from the previous version as this one has a cleaner design. But then, a 3000 mAh is ideal for average smartphone users with a talk time of 30 hours. The price of the Moto Z2 Play is pegged at about 400 Euros. The cost of the smartphone in Nigeria ranges from N150,000 to N160,000.